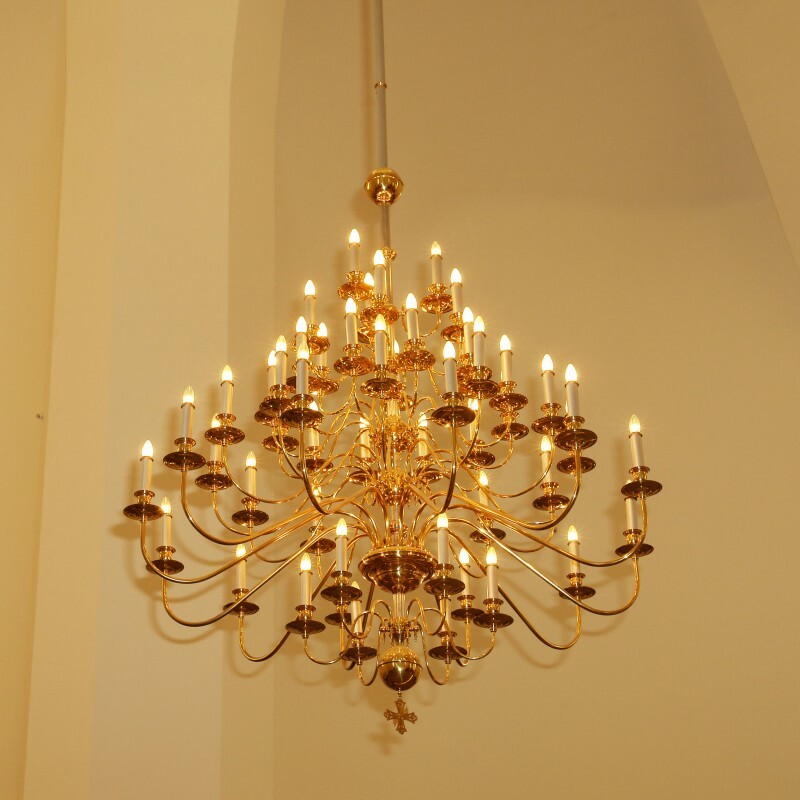 New word in church lighting. 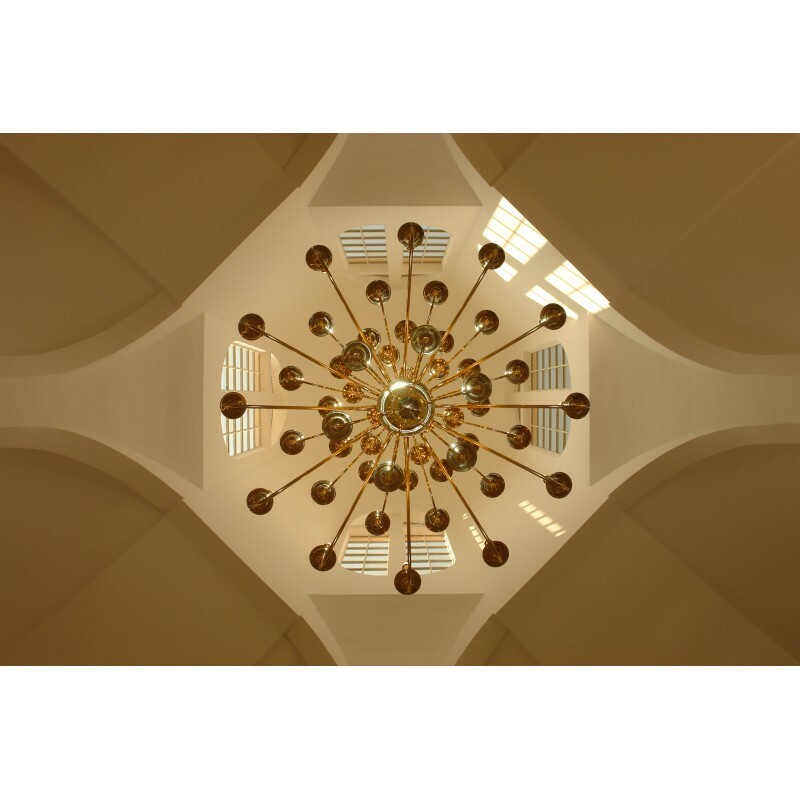 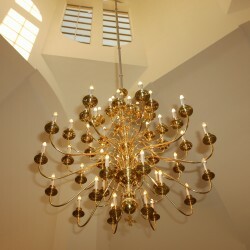 Newly built Catholic church needed some modest minimalistic chandeliers, yet with the classical shapes and in good quality. 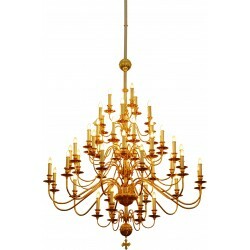 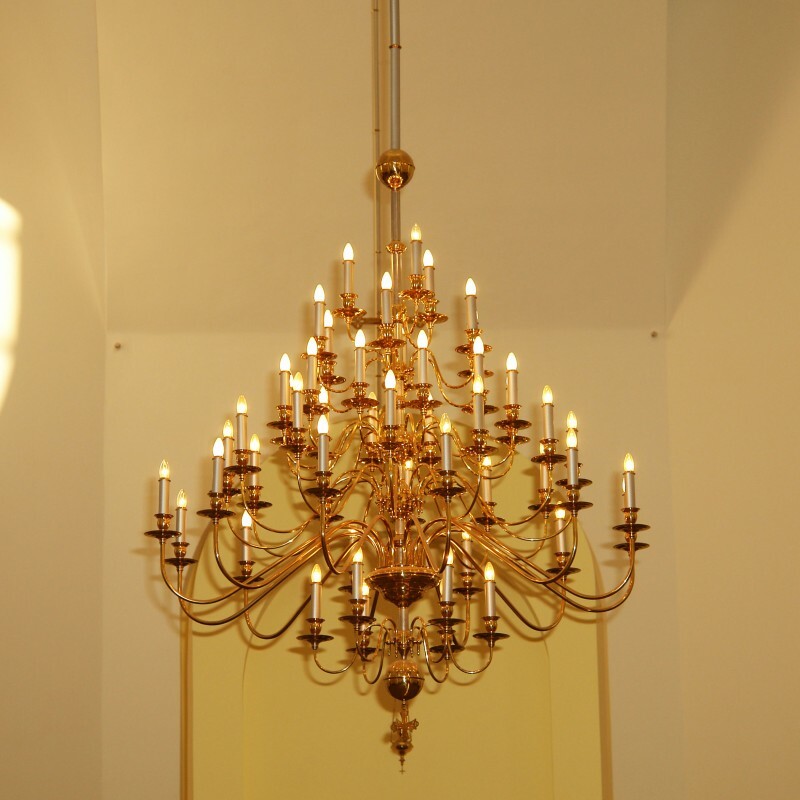 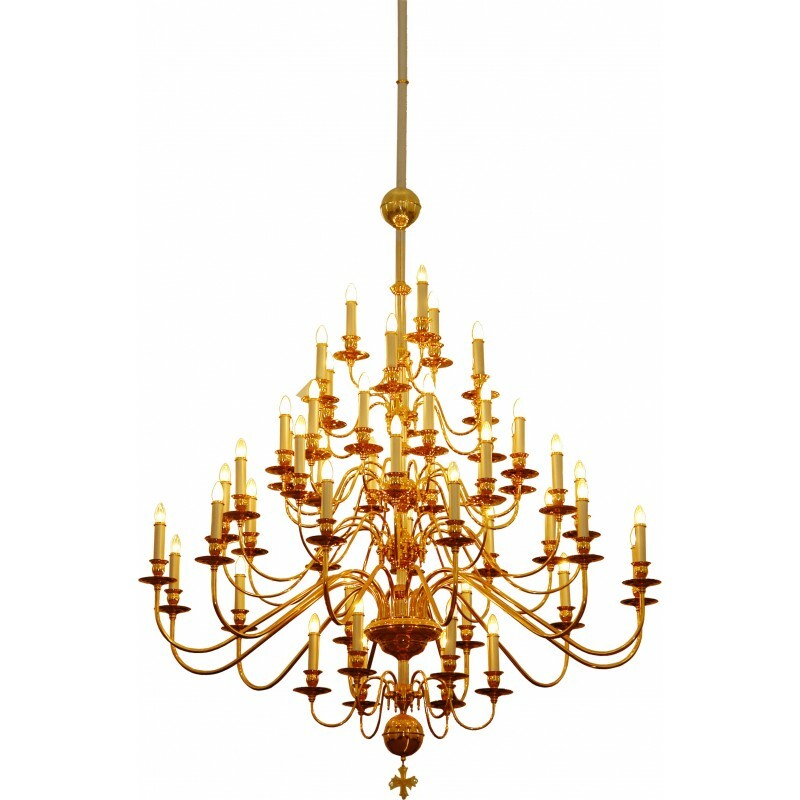 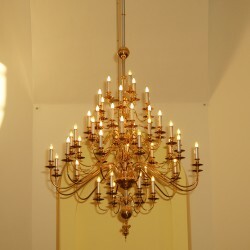 These brass chandeliers look amazing in a plain interior. 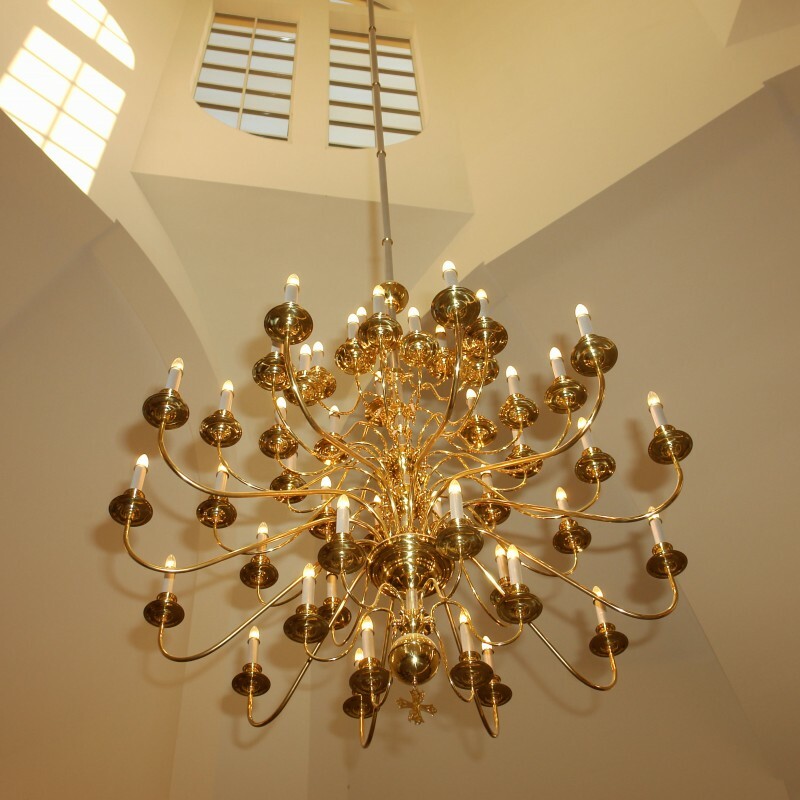 Shining with the perfectly finished surfaces. 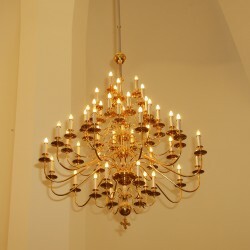 New word in church lighting.